Venture capitalists place bets on industry-disrupting startups. But what if venture capital’s the industry being disrupted? One of the most famous VC firms in Silicon Valley will no longer be (technically) a VC firm. Founders Marc Andreessen and Ben Horowitz told Forbes they’ve registered the entire company to become a registered investment advisor, or RIA. Crypto bets: You say crypto’s a bubble, Andreessen Horowitz says this feels like the early days of the internet—painfully slow, but you might meet a cool Estonian in a chatroom. The firm would like to invest more in crypto, but as a traditional VC, regulators limit its ability to make riskier bets. Secondary transactions: Those regulations also hamstring VCs from doing other non-VC things, like acquiring equity in secondary transactions. That’s a missed opportunity for VCs as startups stay private longer. 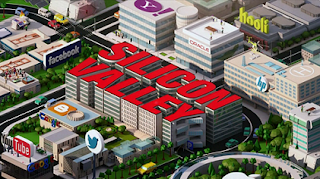 Zoom out: On its way from VC to RIA, Andreessen Horowitz has become a unicorn farm. At least five of the billion-dollar companies in which it’s invested are in IPO mode: Airbnb, PagerDuty, Pinterest, Slack, and Lyft. For it’s next act, the firm will reportedly announce a new growth fund of $2-2.5 billion in the coming weeks, its first as an RIA. Clearbanc, a fundraising alternative to venture capital, said yesterday it’ll be able to back startups with $1 billion in non-dilutive capital by the end of this year. How it works: Clearbanc offers loans with a 6% fee instead of taking equity. But until you pay it back, it’ll take a percentage of your revenue. Why it might work: Equity is precious, but Clearbanc co-founder Michele Romanow tells Axios that “40% of VC dollars in companies are spent on Google and Facebook ads.” Founders, we can see you cringing from here. Bottom line: Just like any other industry, venture capital is subject to changing trends and new competitors. Venture Capital seems like something one must be constantly learning the trends of. Here I was thinking I have seen firms make the most important decisions. If some firms would like to invest more in crypto but as a traditional VC, regulators limit its ability to make riskier bets, it still looks like a good idea from my view. Venture capital is subject to changing trends and new competitors. I've done a lot of research on it, and still working on more and the topic in itself is really interesting if you are into financial stuff. Short but very useful, I must agree. After searching for some venture capital information to build on for my project, I have seen a lot. Even conflicting information or theories but I think once I have valid points, I am good. Your blog has become one big resource for me whenever I need financial data or the likes. It has got good resources and it's amazing just how helpful they can become. Do keep it up. Venture capital is definitely the way to go when looking for external funding. It's an easy way to acquire funding while being backed by a large institution.